This recipe is the property of ooooNaSuGamisoooo and released under the CC Attribution-NonCommercial-NoDerivatives 4.0 license. You may not copy, derive or commercialize this recipe without following the terms of this license or the explicit permission of the creator. Yeah this is a very tasty vape after it steeps, five stars for flavor. It's dark and gooey with a nutty overtone. Three stars for false advertising, it tastes nothing like a Snickers bar. 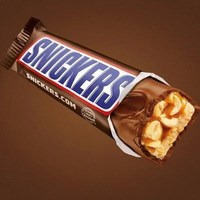 i bought the flavors i didnt have just so that i could make this recipe for husband, hes a die hard snickers lover and he instantly fell in love! great job! its not exactly an adv for me, but it has grown on me and he's the main reason i made it anyway. job well done.